And thus we come to the end of things. Life continues, but at some point we have to stop telling the story. Thank you all for reading. Check out all of our Recommended Comics! 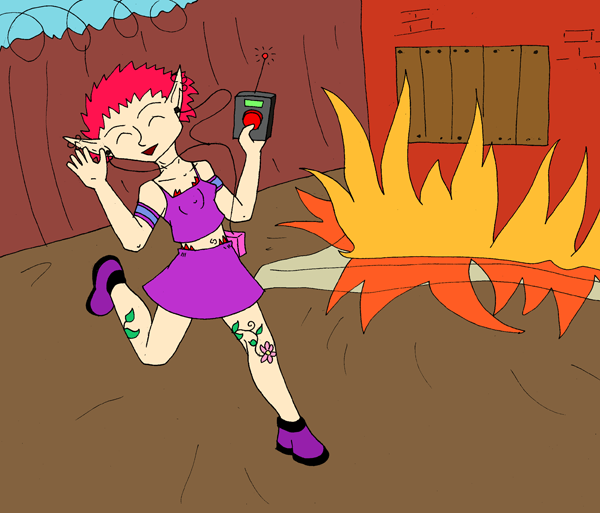 The Naked Elf is hosted on ComicGenesis, a free webhosting and site automation service for webcomics. Indextemplate design by Ping Teo of The Jaded. The 'Charcoal Indextemplate' is free-use for all Keenspacers.